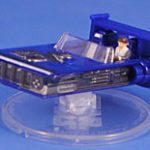 Solo wasn't the trainwreck it could or should have been! 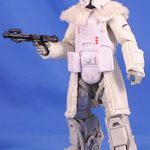 Sadly, it clearly suffered from what came before - for instance I made a point of not buying any of the toys this go around before I saw the movie. Of course, that meant it's been kinda tough to get caught up. But I've done m'best so let's dive right in! And given the high volume of purchases let me see if I can treat this a bit more like "speed reviewing" so I, your dear writer, and you, my dear reader, don't get too bogged down in the text, eh what? Chim chim cheerie! May the midicholirans be with you in particular! And with others, but mostly with YOU!!! 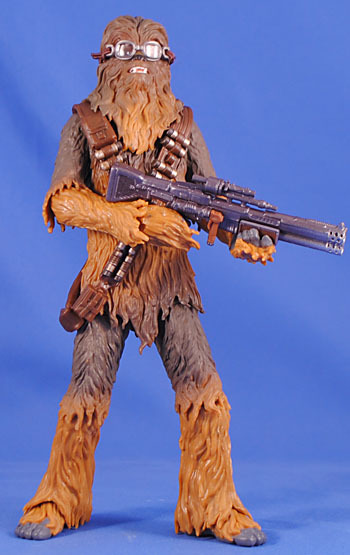 I never thought I'd buy another 6" Chewie figure, but man... I'm glad I did because this one is WAY better than the previous two - the coloring is much better and the head is more detailed. 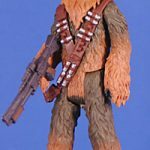 I also gotta say that I love Chewie's Y-harness (so much so I wish this is what he had in the sequel trilogy!) and his shotgun (complete with pump-action grip!) is wicked cool, but it's the removable goggles (with elastic band) that really bring all of these elements together. This Target exclusive is easily one of my favorite Black Series figures ever. 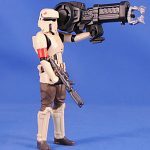 I kind of infamously HATE variations on the Stormtrooper design outside of what was in the Original Trilogy but this thing was almost love at first sight. 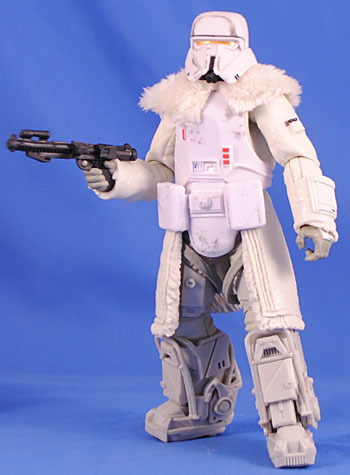 For some reason the thought of incorporating a big, furry winter coat into the armor is just too cool for me. I dig the big mecha boots and even the Rogue One-esque helmet. To be honest, though, I do wish this was more of a "denizen" or bounty hunter type character who'd scrounged together an outfit out of found bits of armor (and was also more colorful than shades of white). The fur collar is softgoods and despite being a bulky figure he's engineered REALLY well so his joints retain a lot of range. I was super against this movie from the outset, and I'm still not crazy about it existing but it is arguably the "best" of the Disney-era so far. 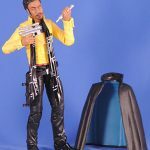 And the first indication I had this might not be the trainwreck it seemed destined to be was the first still of Lando - I freakin' love the parted 'fro and the vibrant yellow shirt! Those scream "young Lando" to me in a way I never expected something could. I like that he's got a scarf and it's fun that he's still got the cape (though I wish it or his pants weren't black - that's just too much, especially with such a loud shirt). This figure nails the looks pretty damn well. 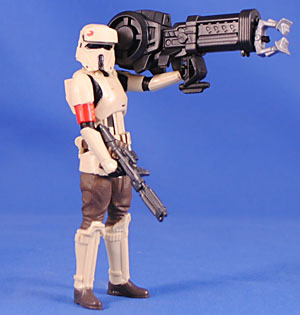 The scarf and cape are removable and he comes with his blaster, which has a removable barrel (silencer?) I don't recall from the film. There is a holster for the gun on his right thigh but it's a weird series of clips I can't quite figure out. 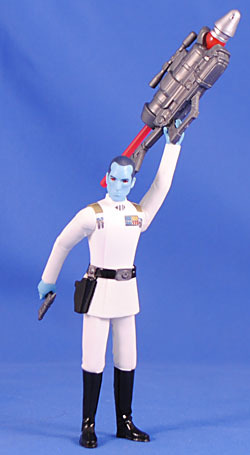 Still, though, this is a fantastic figure of a really fun character - now bring me an L3! Well... it's not quite a Swoop in the Shadows of the Empire sense, but whatever. 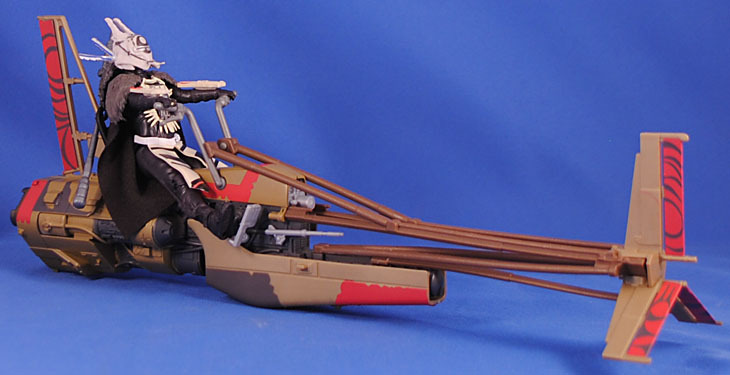 I'm not crazy that I had to buy the bike to get the figure (but it was just leaked that a super-articulated version is coming in the Vintage Series). The bike is good enough and the figure is pretty cool. Now we just gotta wait for an un-helmeted version at some point. 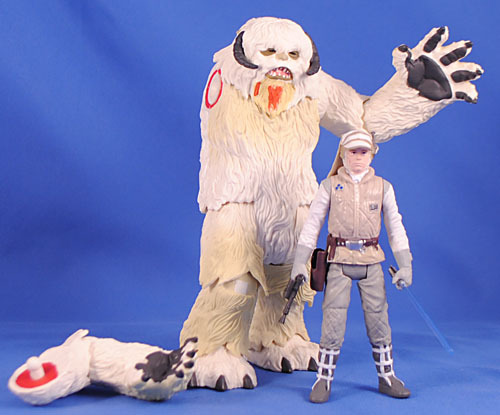 Sure, I'll take another Wampa - and surprisingly it's not just a shrunk down version of the Black Series one. Sadly, though it does retain the lazy swivel-cut shoulder for the removable arm while the other shoulder gets a balljoint... just leads to wonky posing. Still, though, it's a fairly great sculpt with good paint and an otherwise good amount of articulation. 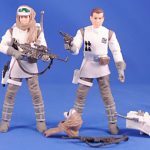 He comes with an entirely new 5 POA Hoth Luke, who is a decided improvement over the previous 5-POA one from the "Mission Series" two-pack. "Where's the sea cows at!?" Shouts the old man. "I needs their milk! Their delicious, nutritious, fictitious blue green milk!!!" It's sure is easy to poke fun at a lot of the things in The Last Jedi, but I've been able to come around and not only buy in to but enjoy and appreciate Luke's arc in the film. But, if I do accept it then it begs the question... why the eff is Luke standing around in his Jedi robes at the beginning - shouldn't he only ever be in this outfit until the end? OH RIGHT!!! They are explicitly making this up one movie at a time with no interest in overall arcs AND JJ Abrams just fell back on his old "just use a mystery box, cause who gives a **** when that's the easiest route" and just made Luke a freakin' macguffin in Force Awakens then tossed him off like a hot potato, shouting "I don't know why he left all his friends, family and responsibilities - you figure it out, I have to run all this cash to the bank, muahahahaha!!!" 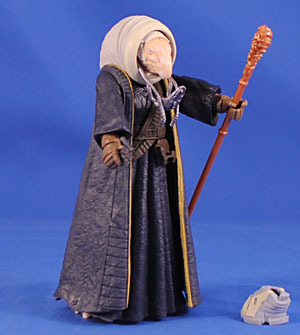 The figure gets a removable hood and walking stick. Rey journeys to an island. 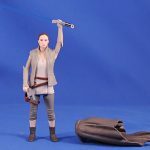 She gets re-released, formerly known as "Resistance Rey" (but maybe with new arms that welcome-ingly get swivel cuts at the elbows). She gets an oversized poncho that doesn't look right when worn. I had to buy a flippin' case from Entertainment Earth just to get this guy, but he's more than likely the only Bodhi figure Hasbro will ever make and I was just the one character away from a complete Rogue One crew & collection (plus then I also got Thrawn and two armybuilders [plus a Jynn and a Leia I already had...]) He's a great sculpt and a good figure. 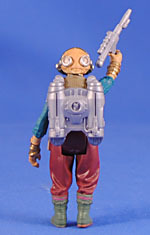 His vest is a separate piece but is not removable, without surgery, and his goggles are sculpted on to his head. 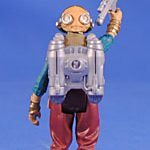 He's the only figure in the entire line who has a worthwhile pack-in; it's his cable-connecting backpack. It fits on well and the string spools out nicely and can be manually wound back up in to the backpack. 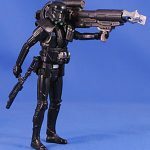 This may well be the best single-carded, five-points-of-articulation figure from Rogue One! 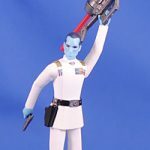 I don't even like Heir to the Empire but here I am, all jazzed for Thrawn! He does make for a cool looking toy and I do quite like the more thin and angular take on him here in Rebels than in the traditional EU art. He's got a nice sculpt with good paint and is a very welcome addition to the Rebels shelf. Boy how I hate the Death Troopers. 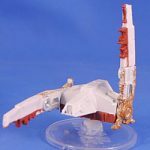 This is a re-release (or a kitbash? 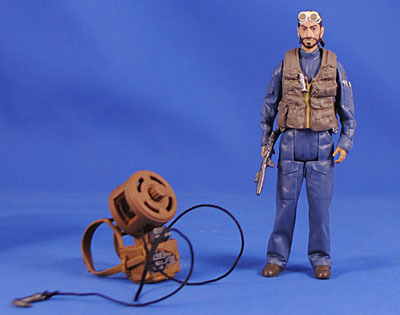 I don't remember) of the 5-POA version of the figure with the removable tactical gear. 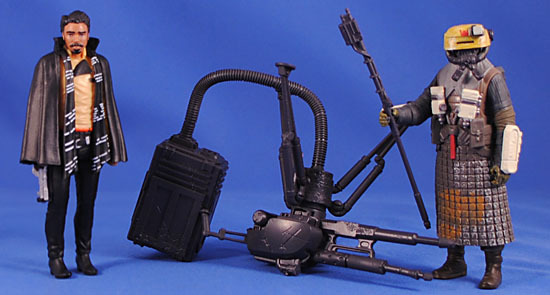 He also gets a bazooka that fires a grapple hook on a string, which is spring coiled to retract back in and pull him over or up the in-scale ten feet is shoots. Always nice to get an armybuilder, this is just a blue-less repaint of the Captain packed with a giant grapple launcher with pull-back rope retrieval. Too fun. Were this at retail I would likely buy an extra couple to boost that goofy army. 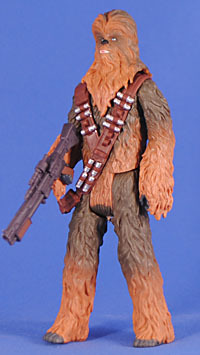 I really dug Chewie in this movie, all things considered, and quite like his "Y" harness too. Plus, it's nice to NOT buy human figures for a change. 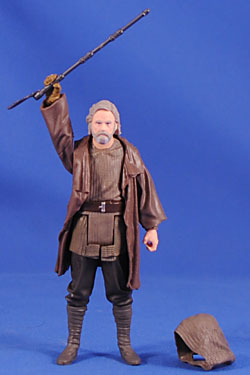 This is a cool little figure, not as great at the 6" one above, but how could it be at this size and style. 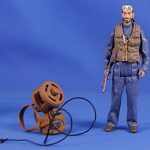 A re-release of the 4" Maz from the Force Awakens four-pack, but with the Rocketeer's jetpack glued (yes, GLUED) to her back, so that she can swoop in and give your collection important plot information while very conspicuously leaving out the one thing that should be the most helpful - a name. New alien! New alien! New alien! Proof alone that Solo is better than The Last Jedi! Moloch has a very Sarko Plank-y design, but it's still neat. He gets a neat little blaster (that fits in a holster on his belt, too), a metallic bronze beatin' stick AND a removable mask with a slide-out rebreather revealing a balljointed wormy head (he even gets a wormy stump under the cloak rather than feet, or nothing). He's a damn cool figure and is executed remarkably well - I really have to applaud Hasbro on this one and hope for more like him in the future! 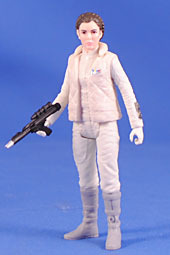 It seems like we haven't had a Hoth Leia in a good long stretch so she is most welcome AND turned out great. 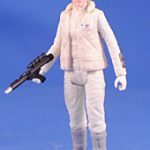 Pretty good likeness and nice, subtle coloring on the vest so it stands out a bit from the jumpsuit. Make purchase! Why would they release this guy on a card when the BB-8 playset he's supposedly a draw for is still not moving on clearance AND they have a super-articulated version out at the same time for nearly twice the price...? Hasbro works in mysterious ways. I love this sculpt and have a massive soft-spot for articulated dresses like on this dude's legs. 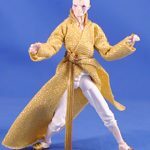 A cool touch is that they not only sculpted but painted baggy pajama bottoms for his articulated legs, under the robe. 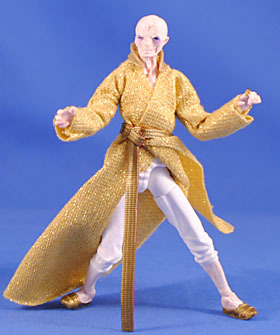 He's cast in gold plastic then given a bronze-y wash or stain to bring out the detail - and just looks plain cool. Hey, hey - something new from the OT! Sure, it is a bland costume and an unexciting addition, but it's a battle builder and an all new sculpt - so I'll take it! Two, in fact! Snoke's one of my favorite things from Last Jedi so I felt I had to get this, especially since it's the version that would actually be able to sit down (the only thing we ever see him do) should they ever make a throne (other than that lame BB-8 transforming playset). The soft goods robe is better that expected but BOY, HOWDY, is it impossible to take this character seriously out of context of Andy Serkis' performance. Why the hell would they put of these characters now? Oooooh, that's why - kind of clever. 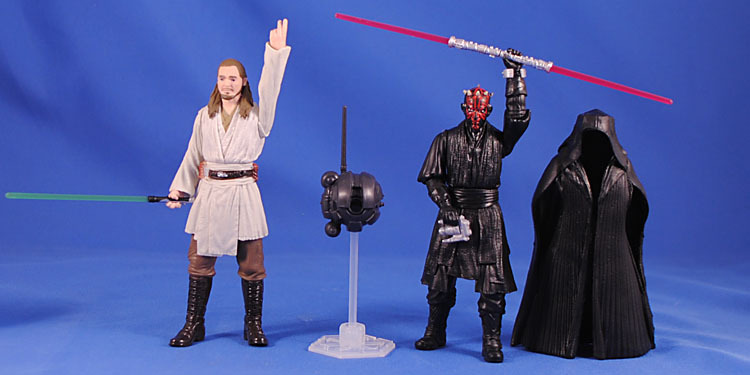 Qui Gon is a great sculpt with articulated swivel wrists, but with awful, too-wide-apart paint apps for the eyes. 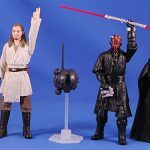 Maul is also a great sculpt and while it's nice that he has swivel cuts at the elbows, they do seem too funky to really be helpful. 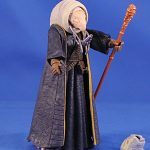 Impressively he comes with his (two-part) lightsaber, fully removable cloak, macrobinoculars, removable control wristband and probe droid with stand! 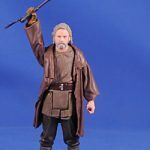 If only they had included a poncho for old man Jinn I would definitely get a second of this set! 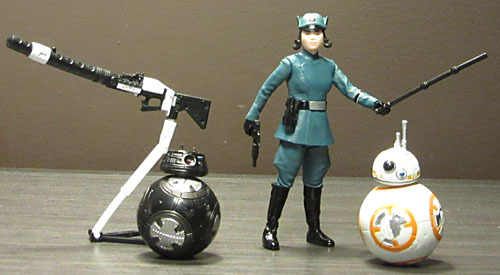 The probe droid is neat, but definitely too big for 4" scale, though I think it's probably spot-on for 6". 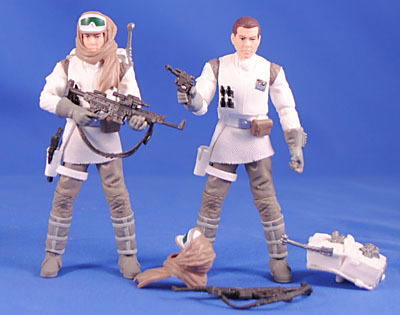 Two good figures - one a major character and the other an armybuilder... don't change, Hasbro*. Both are really nice sculpts and good figures. 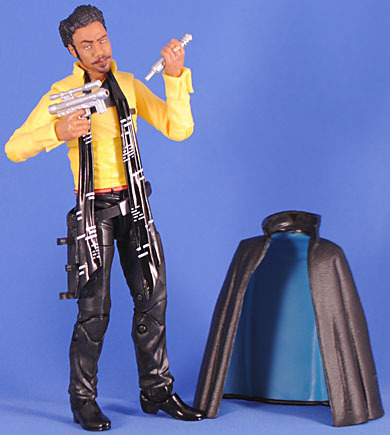 Lando's blaster connects to the holster on his leg and his scarf and cape are cleverly one, removable piece (though sadly without the blue interior). The Guard is really nicely painted and the only problem with him is that he isn't single carded and therefore can't be army-built. 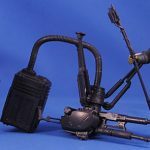 The two are packed with the big, portable cannon the Kesselians whip out - but, insanely, the artillery box and big hose are a single sculpt and the hose is sculpted in a way that can NOT keep either the box flat or the gun upright, so... WTF, Hasbro*!? Last week a reader pointed out I missed this pack in my write-ups so consider this a write-in for this week. I'm not a fan of The Last Jedi and this whole Canto Bight/Star Destroyer subplot is a reasonable part of that. 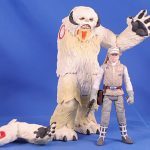 Buuuuut I had made the decision to be "all in" on the 4" line and eschew the 6" figures from this movie, so when the Last Jedi stuff got pulled to make space for the Solo stuff I made sure to grab this sure-to-be-rare late-in-the-line release... only for it to be immediately re-released in the new packaging. Parumph. Rose is an all-new sculpt and will likely see reuse down the road. It's fine for what it is and she gets a blaster and a giant version of the elder wand. 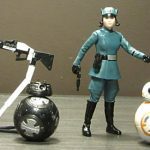 Rather than coming with a figure they saddled her with a re-release of BB-8 and an evil repaint of him with a new head. 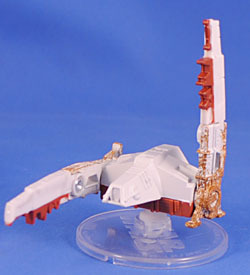 And, to prove how much of an afterthought this set is, just chucked in the First Order uber rifle. 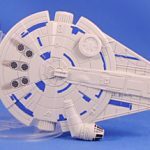 Gee golly willikers, how can sales be down for Star Wars toys when we get releases as exciting as this one!? I'm trying hard to not dislike this design, but it's "look it's a book" asymmetrical design just seems too self-aware and is just unappealing to me. 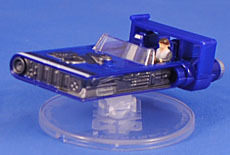 I do dig the vivid, dark blue coloring though and it's fun that they included a micro Han to drive it. It's a fun sequence in the film, too, so why not have it represented in the collection. I should be "angered" by this goofy design, but I gotta admit there is something kind of catchy about. 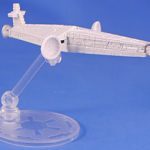 I've always been a sucker for Imperial Star Destroyers and their ilk, so this design-inversion fits that bill. The three giant dishes are strange and oddly intriguing... are they mini Death Star-esque laser cannons or are they communication dishes, or...? Thanks to appearing only for 1-2 seconds in a background commercial, we may never know. Given that virtual non-appearance, it's weird they made this ship given all the others in the film. Before seeing the movie, I really didn't like this design at all... but after seeing the film I really dig it! It's just a bit too simplified here in Hot Wheels form so I really hope that Hasbro makes some kind of 4" scaled version eventually. 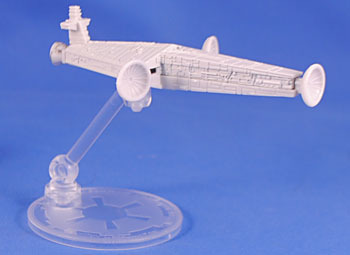 This version has pivotable "wings" and a little hover base. 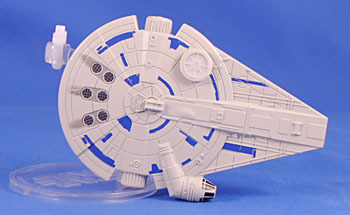 The slight redesign of the Falcon got little more than a big eye-roll from me when first revealed, but in the intervening months I've acclimated to it. There's a lot to complain about but the point of this wasn't to be iconic but "different," and it IS different. This $5 Hot Wheel seemed like a pretty reasonable way to get this film's key ship in to the collection, so... here we are. 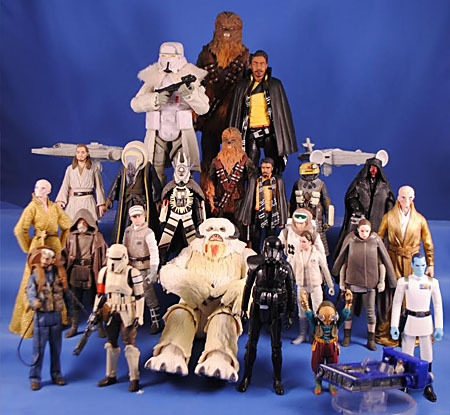 This entry was posted in Rustin's Spoils of the Week and tagged Star Wars. Bookmark the permalink. 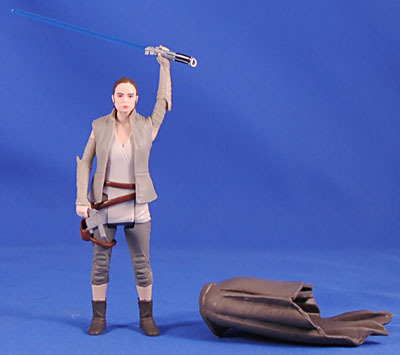 For what it's worth, there IS an explanation for why Luke was dressed in his Jedi robes when Rey found him, though it's clearly something they had to come up with after the fact because of, as you said, JJ's "I feel like setting things up but not doing anything with them" storytelling style. Uh, spoiler space, I guess? The reason he was in his full ceremonial robes was that they were part of the ceremony of burning down the Jedi Tree. He'd tried (and failed) to do that several times before the attempt we see in the film, and Rey just happened to show up right then. So he went back to his hovel to change. 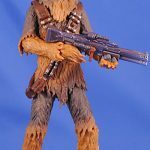 I had no idea that Target-exclusive Chewie was even a thing. Guess I'll have to keep an eye out for it. 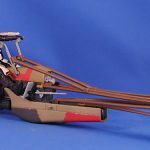 WHY IS HAN SOLO'S SPEEDER A BOOK!? I never noticed that until now! some folks were finding that Rogue One wave you had to buy a case to get at a discount chain...but no locations within 2000 miles of me!